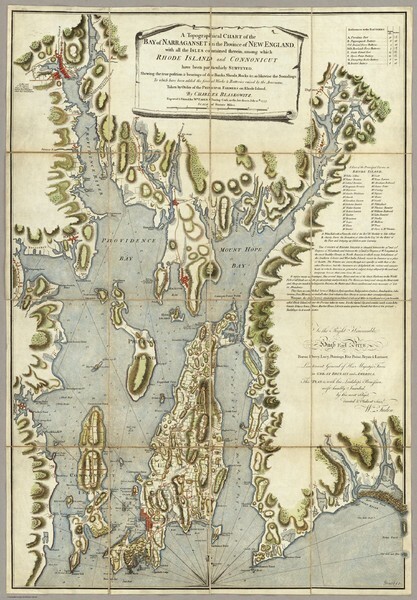 "A Topographical CHART of the BAY of NARRAGANSET in the Province of NEW ENGLAND. 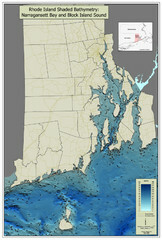 with the ISLES contained therein, among which RHODE ISLAND and CONNONICUT have been particularly SURVEYED. Shewing the true position & bearings of the Banks, Shoals, Rocks &c, as likewise the Soundings: To which have been added the several Works & Batteries raised by the Americans. 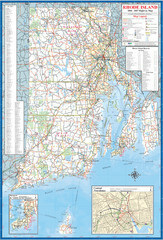 Taken by Order of the PRINCIPAL FARMERS on Rhode Island."